The IITA Ibadan station is hosting a 4-week training course from 27 June to 22 July, to strengthen the capacity of selected graduate students in the various areas of their research. The 16 participating students are from Chad, Togo, DR Congo, and Sierra-Leone. The participants interact with one another. The training falls under the International Development Research Centre (IDRC) CORAF/WECARD research grant platform, C4R4D, initiated in 2015. 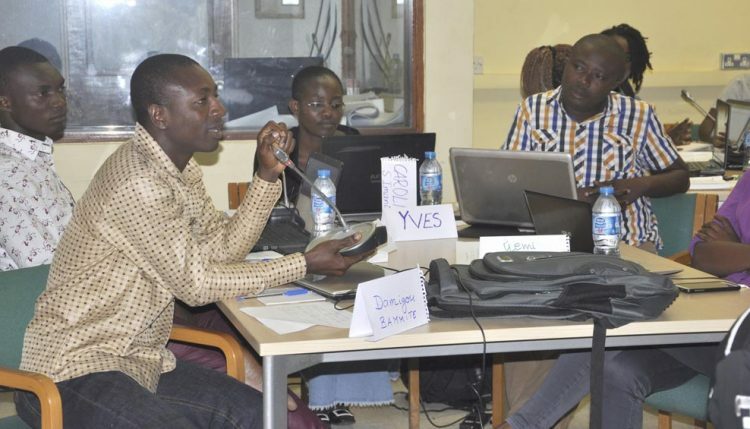 The Capacity for Agricultural Research for Development (C4R4D) is a response to the challenge of developing research capacity in West and Central Africa. Implemented by IITA, the program aims to improve the institutional capacity of National Agricultural Research Systems in the targeted countries. It seeks to achieve this by increasing the number and quality of agricultural science graduates capable of identifying, generating, and disseminating research outputs that meet the needs of smallholder farmers and other actors in the food value chains. In the operationalization of its strategy, IITA identified capacity strengthening as one of the critical cross-cutting areas that require greater attention. The four-week training focuses on reinforcing the capacities of the graduate students and helps them develop the skills needed to successfully complete their research programs. Over the last three weeks, the participants have learnt how to improve their research through classes on scientific writing, pedagogy, effective research methodologies, and data management. Experts from diverse institutions facilitated and delivered intensive week-long workshops on each topic. They include: Roger Obubo, Consultant at Bayelsa Agric. Development Company, Michael Ajayi, Professor at FUNAAB, Simeon Bamire, Professor at Obafemi Awolowo University, Segun Oduwaye, Lecturer at FUNAAB, Taiwo Ojurongbe, Lecturer at Osun State University, and Olawale Awe, Lecturer at Obafemi Awolowo University. Julienne Kuiseu, acting Capacity Strengthening Program Manager CORAF, attended the third week of the training where she interacted with the participants and listened to their feedback. Sierra-Leonean PhD student and lecturer Georgiana Allie, from Njala University, is pleased with the lessons she has had so far. Impressed by the facilitators and the practical impact the lessons have had on their research work, she had this to say: “The classes have helped restructure some of our topics. A number of us now have a clearer understanding of our work and are having discussions with our supervisors to incorporate the suggestions”. For Congolese PhD student Caroline Sibomani the opportunity to master scientific writing couldn’t have come at a better time. “I am currently working on two manuscripts for publication and the classes have greatly helped me strengthen them”, she said. 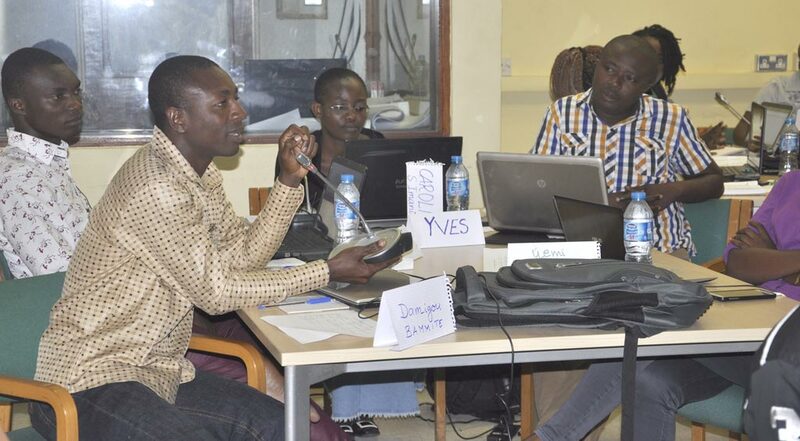 The training is coordinated by Zoumana Bamba, Head of the Capacity Development Unit, IITA.